Middletown....Janis Yvonne Smith, 82, resident of Middletown passed away Monday at Miller's Merry Manor. She was born in Anderson, Indiana, September 15, 1936, the daughter of Theodore and Mildred McCoy Rent. She attended Anderson High School and was a homemaker most of her life. She was a member of the Daughters of the American Legion, Phi Iota Xi, and a local card club. 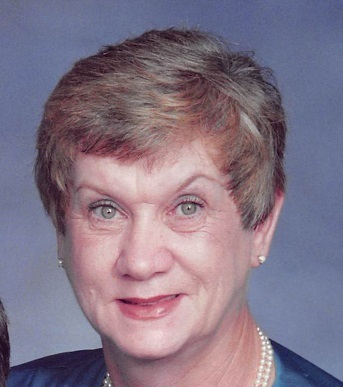 She worked as a cook for many years at Fairfield Elementary in Middletown and enjoyed travelling with her husband. She especially enjoyed Gulf Shore, AL. She was preceded in death by her parents, son-in-law: Gary Rudig, sister Marjorie Barnes, Brother: Frank Rent and infant brother: Burdell Rent. Survivors are her husband: Richard K. Smith, children: Michael K. Smith of Anderson, Richard A. Smith (Sheila) of Middletown, Sheri J. Rudig of Anderson and Debbie S. Krathwohl (Greg) of Anderson. 8 grandchildren, 8 great grandchildren, 1 great great grand child and several nieces and nephews. Services will be held on Friday at 11:00 AM at Ballard and Sons Funeral Home, 118 South 5th, Middletown. Burial will follow in Miller Cemetery, Middletown. Friends may call on Thursday from 4-8 PM. Memorials to the American Cancer Society and the Middletown Food Bank.